If you have tried other e-cig brands and were not satisfied, then NICMAXX will provide you with the full flavor of a tobacco cigarette with a level of nicotine that will satisfy. NICMAXX electronic cigarettes are the result of our pursuit to create an experience for smokers that was just not available from other electronic cigarette brands. 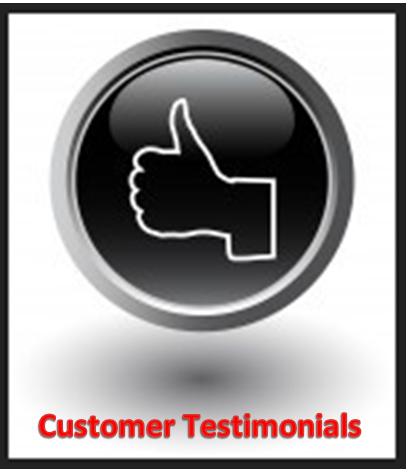 NICMAXX Online has a 100% satisfaction guarantee and our customers love the product! If you are not 100% satisfied with your NICMAXX electronic cigarette or any e-cig accessory, we will refund you 100% of your purchase price within 15 days of the RMA Request. NICMAXX electronic cigarettes are state of the art, alternative smoking devices. They are intended for adult smokers who want all the pleasure and satisfaction of smoking without using burning tobacco and without the harmful side effects found in traditional cigarettes. Rather than tobacco smoke, vapor smoke is used that looks, tastes and feels just like tobacco smoke while containing nicotine. NICMAXX replicates the sensation, flavor, taste and nicotine delivery of a traditional cigarette. NICMAXX offers a logical alternative to smoking traditional cigarettes and can be used in some places that currently prohibit smoking. Studies show that traditional smoke derived from cigarettes contains well over 4,000 chemicals, with over 60 that are suspected as carcinogenic. Our electronic cigarettes contain four basic elements: propylene glycol and glycerol (both food additives), water and nicotine in varying levels. There is no lingering smell to worry about. E-cigs are comprised of a rechargeable battery and an atomizer/cartridge that comes in varying degrees of nicotine and flavoring. When the user inhales on the mouthpiece, a small switch located in the battery is activated and power is delivered to the atomizer. The action is regulated by a microchip which is also located in the battery. When power from the battery is applied, the atomizer is energized and creates a vapor derived from the moisture and propylene glycol or glycerol that is found in the cartridge. As the vapor passes through the cartridge, it picks up the nicotine and flavoring and delivers it to the user. The user absorbs the nicotine either through the mucus membranes in the mouth or through the lungs and then exhales. Many users of NICMAXX ecigs report that our product is the closest experience to smoking a real cigarette that they have ever experienced. NICMAXX electronic cigarettes are distributed by NICMAXX. NICMAXX is an accredited firm with the Better Business Bureau.